Another one where I went back and forth and back and forth trying to decide whether it should be a color or b&w photograph. Obviously I finally decided on B&W. 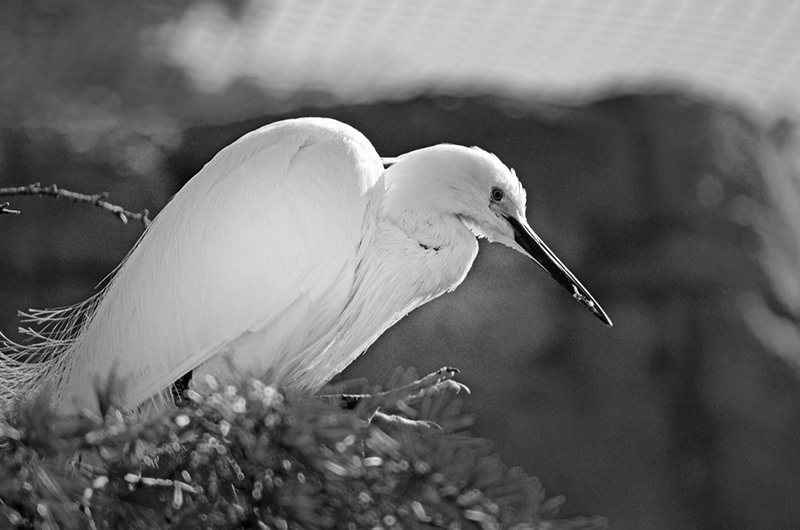 :) Egret at Dublin Zoo! Gorgeous picture, and I really love the bokeh in the background. However.... I think this is a heron or egret, not an Ibis... The Ibis has a decurved beak, and the beak is also light colored or two-toned. Hee. I couldn't decide what the plural of Ibis was, so I reworded the sentence. I don't care what it is called--it's just gorgeous!